Joel Cramp is a 25 year old natural athlete who resides in Brisbane, Australia. Joel has been using Reflex Nutrition products for nearly 2 years now. In 2009, Joel joined the Queensland Police Service and begun training in the gym 6-7 days a week. This is where he found his passion for lifting weights, and he hasn’t stopped since. Joel is a current servicing Queensland Police Officer. Joel competed in his first bodybuilding competition in October 2014 at the Queensland IFBB state titles. 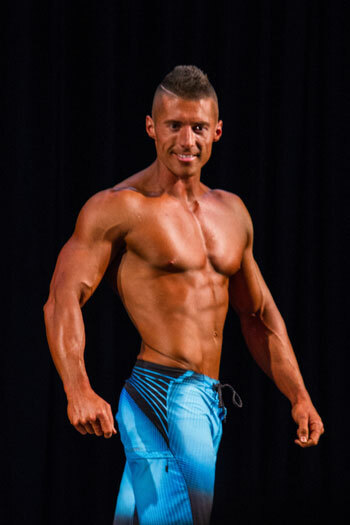 Joel competed in the Men’s Physique tall division. Joel was 1 of 22 competitors and received a call out from the judges. Since then, Joel is determined to improve his physique and get backup on stage to one day become an IFBB Pro athlete. Reflex Creapure Creatine, NOS Fusion, Muscle Bomb, Testo Fusion, Thermo Fusion, Intra Fusion, Instant Whey Pro, Instant Mass Heavyweight and Growth Matrix have aided Joel in achieving his goals to date. To follow Joel’s journey follow him on Facebook and Instagram.